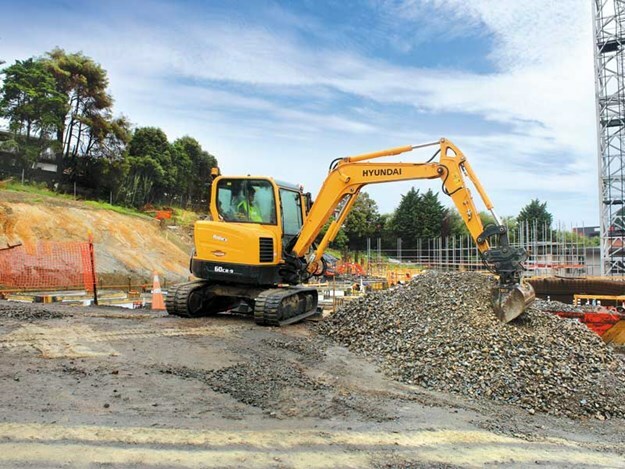 Shifting dirt in urban Auckland comes with a variety of challenges, not least for some entities simply keeping up with the pace of construction in a densely expanding city. Topographically speaking, though, there is an increasing scarcity of wide-open vistas. Unless you’re developing a site at the margins of Greater Auckland, as a contractor you’re going to be faced with confined working environments, access issues and—potentially—steeply contoured volcanic earth underfoot. I’m not suggesting anyone developing a greenfields subdivision out in the rolling pastures of Pukekohe or Waimauku has it any easier (there’s still Auckland’s changeable weather to contend with wherever you are). But compared to the two large, busy and complex urban construction sites Deals On Wheels paid a visit to for this story, your common or garden hundred-lot housing development seems a lot more straightforward all of a sudden. Perhaps it was the aforementioned weather. After a long stretch of seasonal goodwill to kick 2019 into gear, Mother Nature decided to play a cruel joke on the very day I needed to be outdoors taking photos of these new Hyundai excavators. ‘Sideways rain’ seems like an easy dramatic overstatement to reach for, but on this day it was true. It certainly helped to amplify the challenges construction teams face on tight urban worksites, too. There is no escaping either the shape or scale of Ryman Healthcare’s William Sanders Retirement Village complex in Devonport, though, regardless of the conditions. This place is enormous, with a huge team of construction personnel working busily to get the next stage completed. Like all Ryman Healthcare complexes, the William Sanders village will feature a mix of individual apartment accommodation and assisted-living options, as well as comprehensive rest-home and dementia-care facilities. Unlike the national care provider’s other villages, though, this one is being built on a spur of land overlooking Ngataringa Bay, in the Narrow Neck section of Devonport. (William Sanders, incidentally, was the only New Zealander ever awarded the Victoria Cross for valour in a naval action. Given the views over Mount Victoria, past the naval base and back towards downtown Auckland across the Waitemata Harbour, there’s a distinct maritime theme here). "It’s certainly a complex site. There are plenty of construction team members, sub-contractors and machines in and out the gate all day, every day," says Ryman Healthcare civil foreman Glenn Scott. "Everything is done in stages, so while we have technicians installing services in new buildings in one part of the facility, we’ll be undertaking preliminary groundwork in another. In all, there is a huge team of people involved and plenty of machines about the place." Glenn says that on such a complex site featuring confined work spaces within a larger footprint, smaller plant becomes just as vital as large machinery. 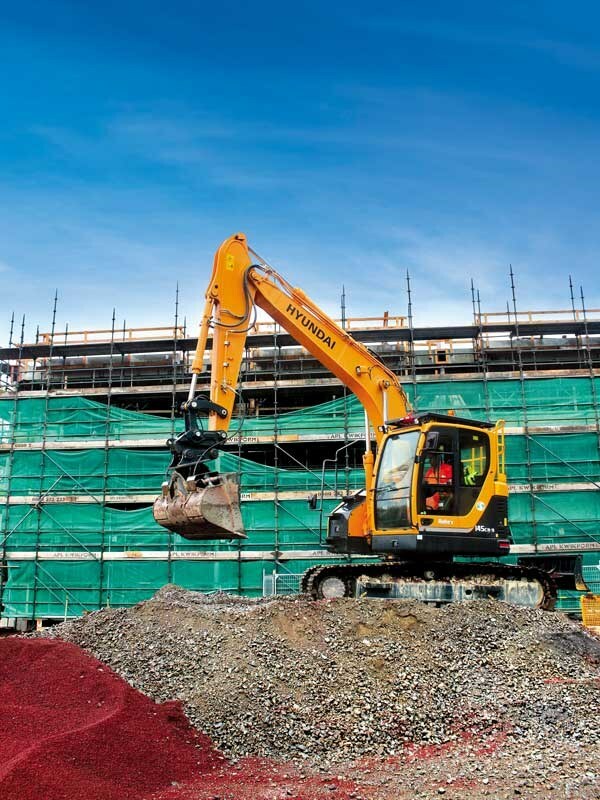 A case in point is Ryman Healthcare’s recently purchased Hyundai R145CR-9, which, with an operating weight of just over 14 tonnes, sits at the lower end size-wise of Hyundai’s standard crawler excavator range. As Glenn says, though, it certainly has the grunt to keep the pace required. 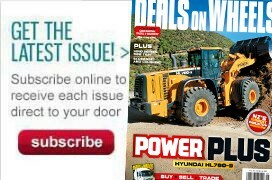 "We have both bigger and smaller gear on-site, but I think the Hyundai has the right amount of power to process material quickly without being a hassle to have to move around the place. We haven’t had it very long, but it seems to be very versatile," he says. The machine is so new, in fact, that it is yet to come up for its first scheduled service (which will be organised and performed by Hyundai excavator distributor Porter Equipment). While Glenn says he wasn’t involved in the decision to buy the machine, he has had good feedback from the operator. "Everyone likes a new digger, right? This one has all the bells and whistles and all the right safety equipment on board, so I think it has certainly been well received. When it arrived here, it was ready to go as well; we didn’t need to wait for some other outfit to come in and fit any spec or anything. I think with Porters, there are no surprises; you know what you’re buying, and you know what’s included in the package." I remark to Glenn on the size of the build and he says I should go and see the new Ryman Healthcare complex being built on the other side of the harbour in the suburb of Lynfield—it’s even bigger. By coincidence, that’s exactly where I am heading next. But despite its being an even bigger site, I have an appointment with an even smaller Hyundai excavator. 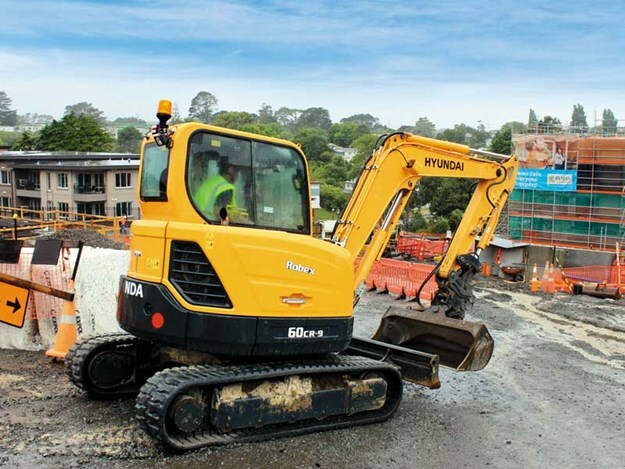 At the rapidly developing Tropicana Drive end of the large-scale Murray Halberg Retirement Village, a diminutive Hyundai R60CR-9 is plugging away on a variety of tasks for Ryman Healthcare’s construction team. The civil foreman at the Lynfield site, Andre Hechter, says the new Hyundai fits the bill as something of a worker ant, getting smaller tasks done that are too precise or in too confined a space for larger machines to be used on. "It’s also very quick to shift between tasks. When you have a large site like this, you need to be as efficient as possible when moving gear around. The Hyundai is quick and easy to shift between jobs," says Andre. 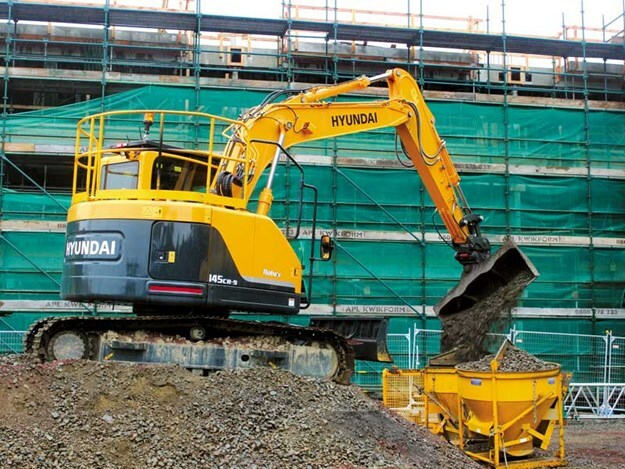 Despite being one of the smaller machines the Korean conglomerate makes, the six-tonne Hyundai R60CR-9 still offers rugged reliability, a robust upper and lower frame construction, fuel-efficient Tier 4 Yanmar engine technology, advanced hydraulics and the sort of in-cab comfort many operators would expect only from a much bigger model. "It’s a good wee machine," says Andre. "It’s a new addition to the fleet but has got the thumbs-up from the team so far, so we’re happy." Big sites still require smaller gear to ensure the individual parts equal the whole. And when the ‘whole’ is as all-encompassing as one of Ryman Healthcare’s multifaceted village complexes, that’s a pretty important role indeed.